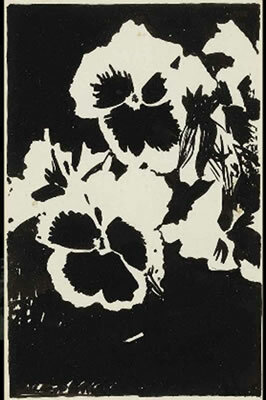 Joe Brainard (painter, collagist, writer) loved pansies so much. He cut them out of everywhere. He collaged them onto pages, in to entire books, which he kept and gave as presents to people like James Schuyler (I’ve seen them in the archives at UCSD–they’re beautiful; they’re shiny and layered, dozens and dozens of PANSIES). His love of pansies (and flowers in general) reminds me of how I’ve always wanted to love football. Or the “Twilight” books. Or skateboarding. I want so badly to love something so simple, something that other people love so much. It’s incredibly appealing, the idea that there’s some new thing out there to get all excited about–I want to love these things; they are so available and other people love them and I would like to join in on that. But I can’t tell where the goddamn ball is on that huge field, even with the camera telling me where to look. And Bella is SO boring to read about. And I’m afraid of falling off a skateboard and hurting my knees. 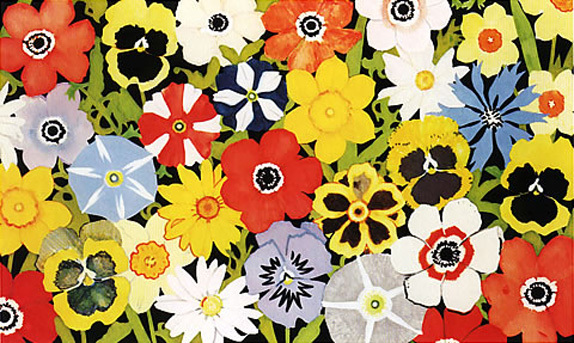 Joe Brainard got something right with his love of flowers. He was a normal, human person like the rest of us, and by that, I mean that he was self-conscious and sensitive and he wasn’t sure he was ever doing the right thing. He made art and he tried his best to do days well. He wanted to be loved and he wanted to be known, and not as a celebrity. 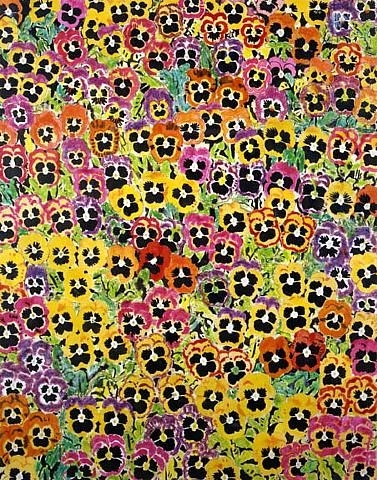 He loved flowers, especially pansies, and he found them everywhere. He collected and saved them. He saved them for himself, but also portioned them out to people he loved. People learned this about him and so sent him stationery with pansies on it. People learned what he loved and then there was more of pansies in his life, and voila: more of love. Previous Tiny tiny poem (mine).